I.e. after you pin some tabs, they will take multiple rows if needed. “Normal” tabs are still form single row. Pinned tabs can’t be reordered by mouse. 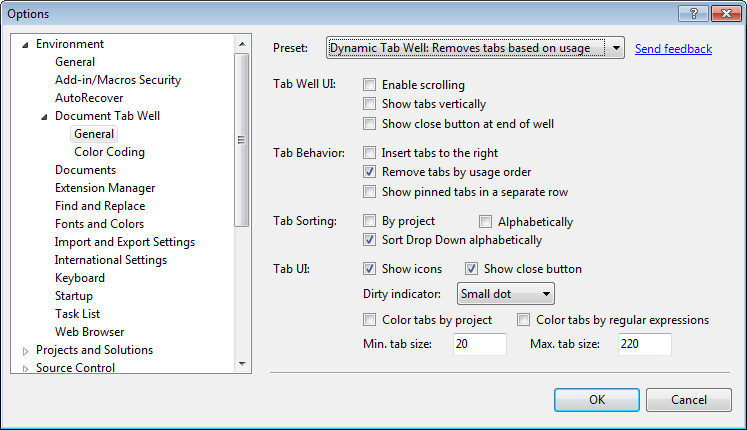 I couldn’t make Remove tabs by usage order to remove tabs. All other options, I think, are self explanatory. Tabs Studio is not currently compatible with this extension (generates null reference exception at startup). I will see whether it can be fixed. 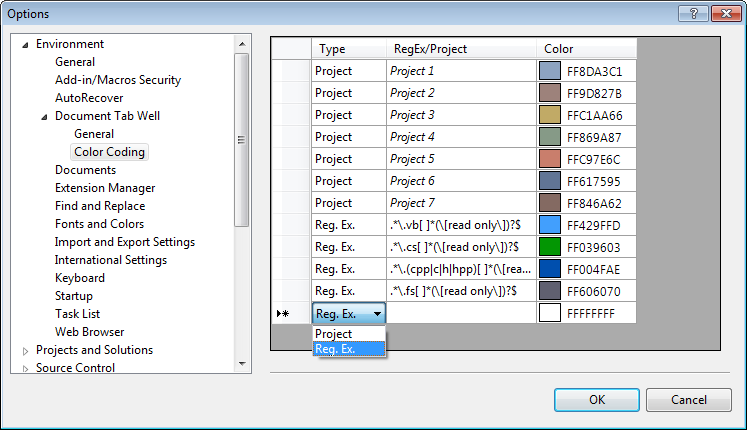 Update: Tabs Studio v2.0.5 released with Visual Studio 2010 Pro Power Tools support (read more about how it is supported). Thank you for the suggestion. I’ve disabled floating on double click.